The .NET Logging Library is an easy to use, high speed .NET logging component. Log with a single line of code! 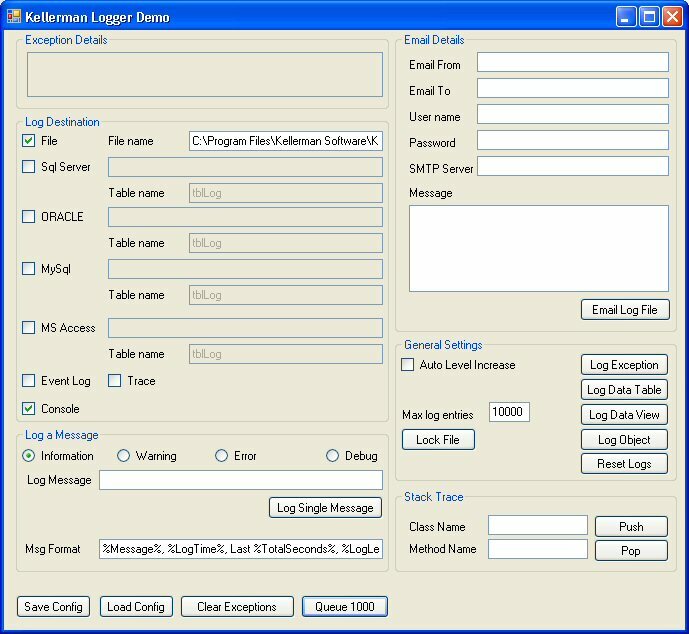 Logging targets include console, debug window, file, CSV, XML, HTML, SQL Server, Oracle, MySQL, MS Access, ASP.NET Trace, ASP.NET Response, memory streams, and custom targets. This .NET logging framework supports both runtime properties and configuration files. When logging to database targets, it automatically creates the table and stored procedure. Download the free trial today. Builds for .NET Framework 4.5.2 and 4.6. The library remains 100% managed code but is now compatible with COM.